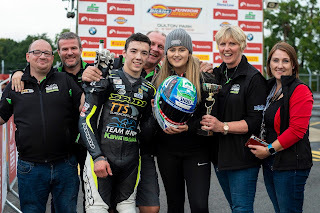 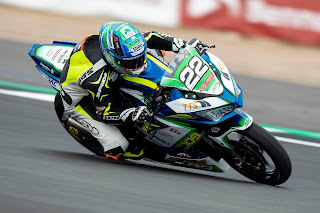 Aghadoweys Eunan McGlinchey, current leader of the Dickies Junior Supersport championship, will make a rare home appearance when he competes at the Sunflower Races at Bishopscourt on Friday 19th and Saturday 20th October. For this event, the present Irish Short Circuit Supertwin champion will get the opportunity to ride the McAdoo Racing ER6 Kawasaki. 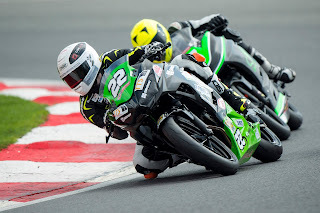 Eunan has been a sensation at this year’s BSB meetings, riding the Team 109 Kawasaki, despite having to miss a race, he heads into the final round at Brands Hatch in a few weeks’ time with a 43-point lead in this hotly contested series. 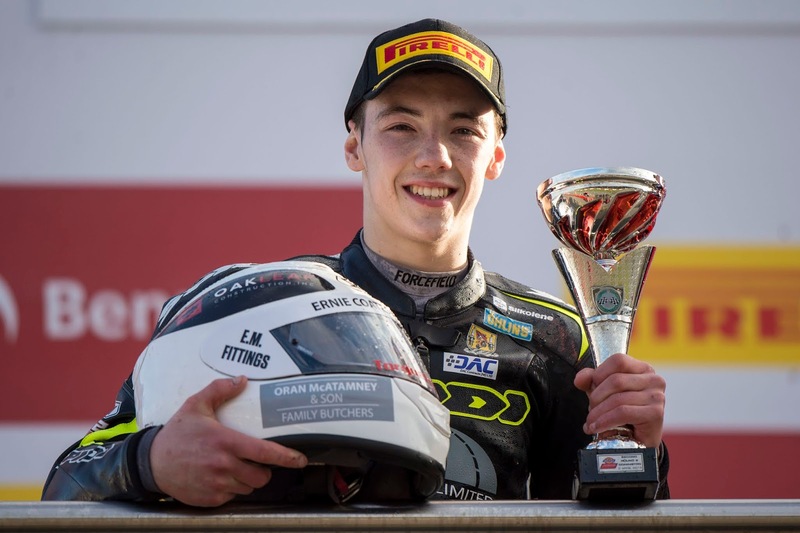 The 20-year-old has taken 7 wins on circuits he has never seen before. The Team 109 rider only needs 8 points to secure the Championship. Let’s hope this up and coming rider can clinch this championship and arrive at the Sunflower as a British Champion!